There are lots of places to visit on this big old planet of ours, so why go to Paxos? We have visited lots of Greek Islands, but after our first visit there we were straight back the next year. What is Paxos like? It is simply a stunning Greek Island. If you are looking for a lovely, small, picturesque chilled Greek Island which is easy to get around with lots to see and do, great food and drinks and a relaxed atmosphere then go to Paxos. In this post I will tell you all about my experiences of visiting Paxos. I am a photographer and writer, so I will be sharing my photos of this stunning Greek Island with you on this website. I will also explain how I find the locations and how I took the photos. I will also share my experiences of being on the island which I wrote down in a daily holiday journal. Yes, I wrote a journal on holiday. I have captured everything that we did, everywhere we went and most importantly what it feels like holidaying on Paxos. What are my highlights of Paxos? These are the main reasons in my opinion (as someone who has been there twice and is looking forward to going there again) why you should go to Paxos. Paxos has a lovely chilled vibe. Well apart from being in Gaios when the boats arrive with all the day trippers that is, but don’t worry you soon get used to that!. And it is nice to see lots of people excited to explore the lovely town of Gaios for an afternoon. 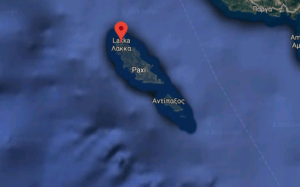 The other main towns are Lakka and Loggos. Now I need to explain that some of the names can be written in other ways. Loggos is known locally as Longos. But Lakka is known locally as Lakka. I know – let’s not worry about that. Paxos is a lovely chilled island with small deserted beaches that you can get to by foot – you just need to know where they are and put a bit of effort in! Paxos is a small island. Apparently Paxos is 76 square kilometres. Does that mean anything to you? Me neither. To put it another way, you can drive from Lakka at the top of the island down to Mongonissi at the bottom of the island in about half an hour. You can’t drive straight across the island as the roads don’t work that way in Paxos. Half an hour top to bottom is great if you like that sort of thing. Being a photographer, I will tell you lots about the lovely scenery you can find on this lovely island and show you lots of the photos I have taken. I travelled the length and breadth of the island in my little hire car just exploring. I also walked off the beaten path to get some stunning views from parts of the island I guess most people don’t get to. Talking of the scenery being such a small island it is easy to get out and photograph sunrise as the eastern coast is never that far away from you regardless of where you are! And as well as the lovely sunrises there are lots of other things to take photos of on the island of Paxos. Yes, I managed to drag myself out of bed for some stunning sunrises in the three main locations, Lakka, Loggos and Gaios. And a couple of other places too which are less well known. We were in Paxos in August. Now it is fair to say that it was hot, but due to it being an island, and us stopping near the harbour in Lakka we could sleep comfortably at night with the balcony doors open. The climate in Paxos is lovely. I won’t say you are guaranteed sunshine every day, as we did have a thunderstorm one day, which was a result of it being so hot for a long period. But that was over in a morning and made for interesting viewing from our balcony. In our experience the majority of visitors to the island are Italian. The next biggest nationality is English. And then there are smaller number of visitors from other European countries. Paxos is so nice that Greek themselves holiday there! This mix of visitors with the lovely Greek locals provides a nice blend of people thrown together on this small island. Paxos does not have an airport. You can only get there by boat. Or by helicopter if you are seriously rich I guess. This in its’ own makes getting to and from Paxos joyfully different. From the UK most people fly to Corfu and get the boat from the New Port in Corfu Town to Paxos. 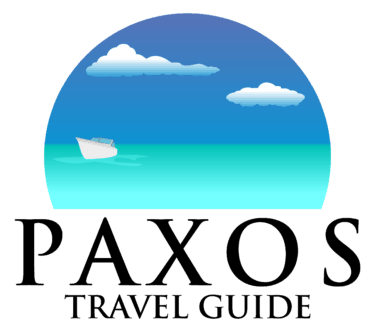 I will write a separate post about this, Paxos – How To Get There – This Is How We Did It On Our Own, which will give you losts more info on this very subject. I have never been anywhere else where there isn’t an airport, well apart from the Maldives thinking about it. Certainly, nowhere in Europe without an airport. Obviously, the island is small, but it is easy to get around. There are five taxis on the island, and the taxi drivers’ names and numbers are displayed on the bus stops and other places. We never had a problem getting a taxi. Car hire in Paxos is easy and not that expensive, and also a great way to get around the island. I loved the freedom of driving around the island, especially turning off the main road and finding things well off the beaten track. There is also a great bus service running from Lakka through Loggos to Gaios. And you just have to get the bus to experience the drive through Loggos past the bar and restaurant tables (my number one regret is not filming the drive from the bus stop at Loggos through the harbour when the bus squeezes between the waters edge and the restaurant tables). And then of course there are the boats. You can hire a boat and take yourself off around the island. There are plenty of places to get boats from, just make sure that you book yours in advance for the day you want the boat. Once you have a boat you must go the extra mile and visit Antipaxos. If you thought Paxos was small you wait till you get there! I will write in much more detail about how you get around the island of Paxos in a future post. If you like Greek and Italian food then you are in for a treat. I find it quite strange that I got into pasta more than I ever have on this Greek Island – this was a result of following recommendations from restaurant owners. Not that the Greek food is not excellent – I managed to enjoy stifado for dinner for five consecutive days at five different restaurants! And the drinks are good value too. Local beers are lovely (I just love Mythos) and the house wines we tried with our evening meals were (with one exception) very nice indeed. I will write about our dining experiences in my daily journal. Talking of which, this is the first time I have written a daily travel journal, and this is the first time that I know exactly what I ate every night, and where I ate it! I am going to publish my daily journal, so you can read exactly what it is like being on Paxos. I wrote my journal every day after breakfast to ensure that I had not forgotten anything and that I captured how I felt each day, which is important. I wrote my journal on my iPad in one of two locations – either in the shade from the morning sun on our balcony or at a table by the pool. I should say, we stopped at the Hotel Bastas in the town of Lakka which you can find to the north of the island. I am writing this as a paying customer of everything we did and everywhere we went. The hotel, flights and transfer were all booked independently. My views are very much my own views. No-one has paid me to write nice things about their hotel or restaurant. I am a freelance photographer and writer based in Dorset on the south coast of England. If you have any questions about the wonderful Greek Island of Paxos please get in touch via the comments box, and thanks for reading.